If you’re a frequent Starbucks visitor, their latest sustainability effort may have you saving money on future visits. The coffee chain has just rolled out a new reusable tumbler that costs only $1. The cups are about the same size as the standard paper cups, and a 10 cent discount will be given whenever you use it for a drink order. After 10 visits it’s already paid for itself, and it’s cheap enough to buy a few and hand them out to your friends. The cups will be washed with a boiling water rinse before each serving to prevent any sanitation issues from arising. 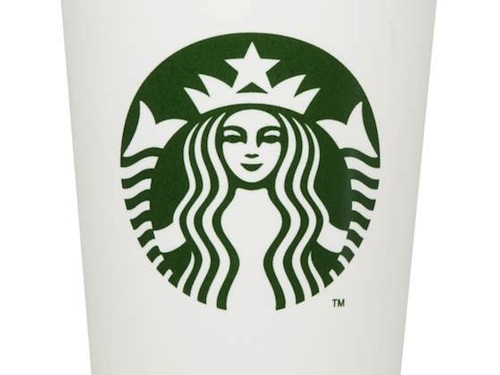 Reusable cups are nothing new for Starbucks, but it has taken them a while to arrive at a cup that they think is ideal for customer adoption. There are even lines inside the cup to indicate “tall” and “grande” levels, so you don’t have to choose the same size every time you order a drink. The company is still looking into other ways to reduce cup waste such as in-store recycling, sleeves made of less material, and a possible cup-to-cup recycling program. Because of the size of the company, small changes like this can add up. Which of these options would you prefer? Have you purchased your reusable cup yet?